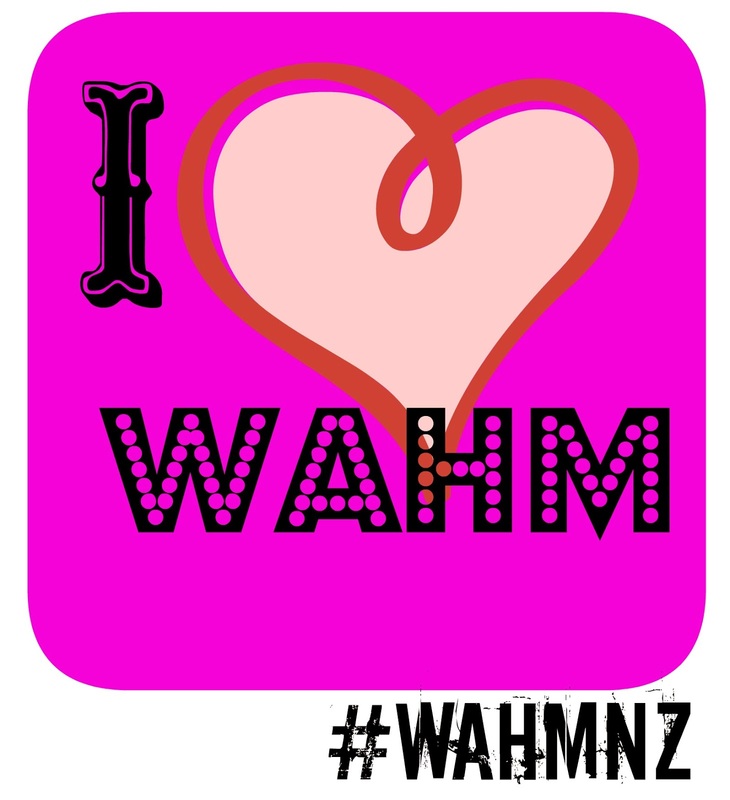 What is the meaning of WAHM? WAHM means "Work At Home Mom"
An extended meaning ---- not only do WAHM's work every hour of the day that their child/children are awake, entertaining, feeding, washing and cleaning between the daylight hours or sometimes not so daylight hours. When they are entertained, fed, washed and cleaned and mothers have a quiet minute, this is when they morph into their secret identity "The WAHM"! Their powers are super sensitive hearing incase the child/children are up to something they shouldn't be up to and they grow a pair of eyes out of the back of their head so they are able to split their attention between the child/children and whatever task they are trying to complete. Once the other half arrives home, WAHM needs to get tea cooked, dishes completed, child/children bathed and bedded, then return to the task at hand. This means that she might not finish until the early hours of the morning. WAHM's generally work 7 days a week and do it all for a particularly low return. Why would anyone want to be a WAHM? I sometimes wonder this? My organisational skills are excellent and I still have trouble making time for everyone and everything! However, even though we get a ridiculously low hourly wage, it's enough income to help make ends meet at the end of the week. I worked a full time job just last month for a while and it pained me every time I walked away from Miss 1! I also realized nobody else wanted to hear all about Miss 1 in all her excitement, so it turned out that I really had nothing in common with any of my colleagues. Being a WAHM is sort of an inbetween compromise for those mums that can't handle "Just being mums" but also want something for themselves! How to become a WAHM? I could give you a step-by-step guide but where is the fun in that. However I will give you a little advice. Find an idea, and run with it. Don't give up! Realise that it might be slow to start of with but you just grow and grow and grow and look forward to the exciting times. Support other WAHM's! In fact as long as you aren't in the same industry as them, I'm sure you could probably give them a message to hear their story or advice on how to become a WAHM. Olly Polly- Run by Tess Burnett - Olly Polly is a Merino baby wear company that will keep your little ones warm and snug in Winter and cool in Summer.